We are primarily located at New York University’s Shanghai campus, China. NYU Shanghai is located in central Shanghai in Pudong, the east side of the river. 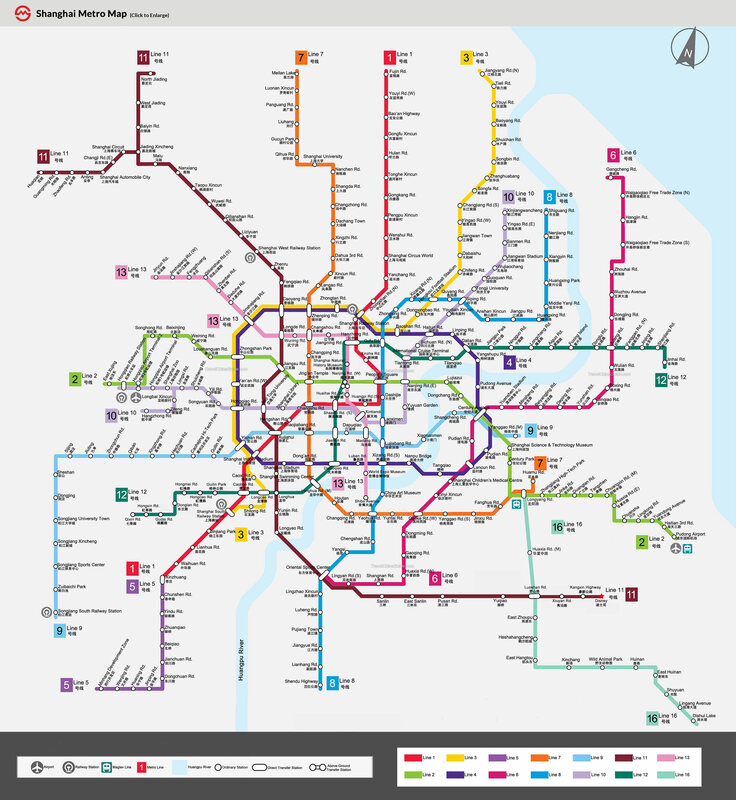 The best train stations to get off for NYU Shanghai is “Century Avenue” (世紀大道）. Century Avenue　is on the Lines 2, 4, 6, 9. See the metro map below for details. NYU uses the Geography building, directions there can be found here. The closest train station in Jinshajiang Rd., on Line 4, 3, and 13. There is also a bus that goes from NYU Pudong campus to ECNU at 9:30am. This leaves from the ground floor back entrance of NYU. The Physics Institute Room is in the Geography building, Room 361. 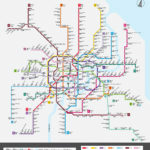 There is actually one line that connects Pudong airport and Century Ave., the station that you want for NYU: Line 2. (see map below) You do however have to change trains once, although its on the same platform. This will cost about 6 RMB = US$1 . The trip from Century Ave. to the airport takes about 1 hours. Shanghai has a maglev train that runs from Pudong airport to Longyang Station which cuts out quite a bit of the distance, particularly if you are coming into NYU. You get a discount if you show them your boarding pass, which is 40 RMB = US $6. 5 for a 7 minute ride. Then transfer to a regular metro at Longyang Rd. to Century Ave, which is 3 stops. The train fare will be 3 RMB = US$0.5, so the total cost is US $7. As long as you don’t have very heavy bags, this is probably the best option. Taxis are very cheap in Shanghai (compared to USA, Japan, EU, Australia, etc.). A 5 minute ride might cost RMB 20 = US $3, a 30 minute ride might cost RMB 80 = US $ 12 (rough guesses). In this option you would catch the maglev into Longyang station, then catch a taxi from there. Its only a short ride from Longyang station to NYU, so my guess is that this would cost RMB 40. Important: when you exit the maglev, you may have people offering you a taxi. IGNORE these people, and go directly to the taxi rank on street level. A common scam is to overcharge foreigners coming from the airport. If you get a taxi at a taxi rank, they are quite honest and go by the meter, and tipping is not the norm. However, they generally speak zero English, so be prepared to say your destination in Chinese or have the location written down in Chinese so you can point to where you want to go (see below for some common destinations). The total cost combined with the maglev (RMB40), is then RMB 80 = US $ 13. This should take a bit less than an hour. Usually I get the taxi to go to Songlin Rd. （松林路）which is the road behind the NYU building, since it is easier to stop there. If this is too complicated then I would say “Shijidadao, jin Xiangcheng lu” (世纪大道 近向城路), which is the nearest cross street. Note that Century ave. is Shijidadao in Chinese. “Jin” means close to in Chinese. It is advisable that you take a print out of the map of the area of your destination. The taxi driver may just drop you at the nearest cross street, and tell you that you have arrived. So before you get out of the taxi, make sure you visually confirm that you can see your destination, and then pay the driver. Line 2 runs also to Hongqiao airport, so you can catch this directly to Century Ave., the stop for NYU. This will cost you 5 RMB = US $1. The train journey itself will take about 40 mins from Century Ave. to the airport. The journey from the airport into NYU needs to cut across basically all of Shanghai, so you will be prone to traffic jams, depending of course on the time of day. My rough guess is that this would cost RMB 100 = US $16 and 45 minutes.